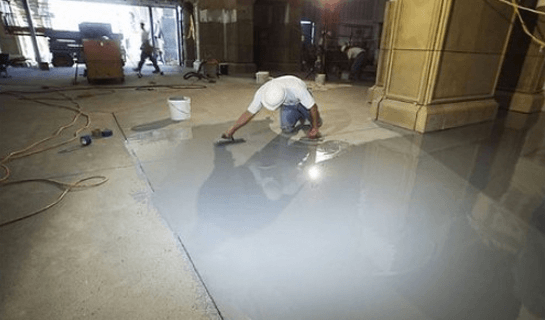 Concrete Prep Work - Liquid Stone Inc.
One of the most common issues in concrete preparation and one of the most expensive is excessive moisture in a concrete slab. Our certified personnel will assess and recommend a suitable moisture control system based on the specific site requirement and floor coverings to resolve such issues. Depending on the moisture rate in a concrete slab, our team will determine the best solution to remove excessive moisture in new or existing concrete. Industry leading materials and warrantees back our proven track record of providing solutions for dealing with high moisture levels. Removing previous floor coatings and coverings can be a time consuming and difficult task requiring professional equipment and experienced people. Before installing a new floor or resurfacing an existing floor, you may need to remove carpet glue, tile mastic, tile mortar, paint, epoxy coatings or other coverings. LSI is equipped and experienced in removing almost any surface while meeting your timelines and budget. It’s vital that cracks in any concrete surface be properly chased and filled, improper repair can lead to future problems with any floor slabs. Our fast and affordable repair service provides a permanent solution to your concrete cracking problems. Additionally our experience with joint filling with epoxy and polyurea joint filling materials make sure floor joints are properly prepped and filled with materials appropriate to your business need.